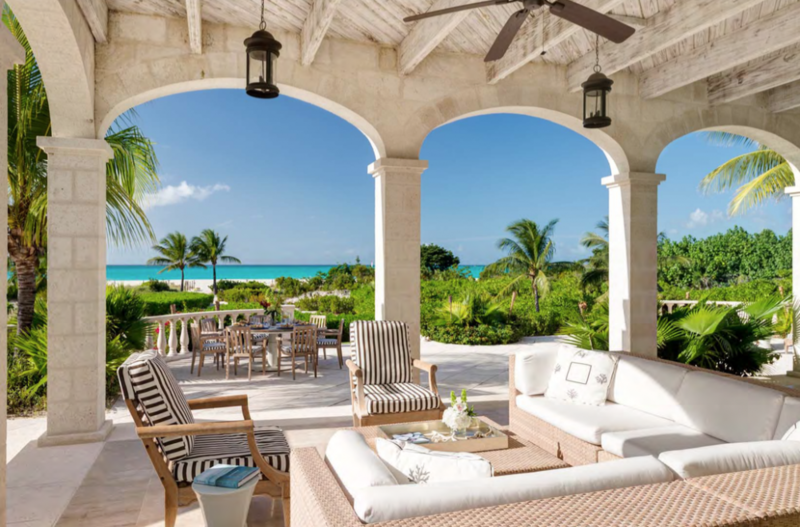 Amazing Grace is a splendid 9,000 sq ft luxury villa is located on a gated, 18 acre site on Grace Bay Beach with over 600 feet of spectacular beachfront. 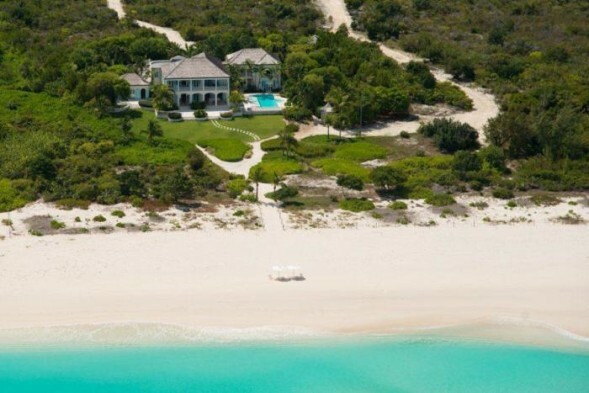 The home is the perfect choice for guests seeking understated elegance on a perfect beach. 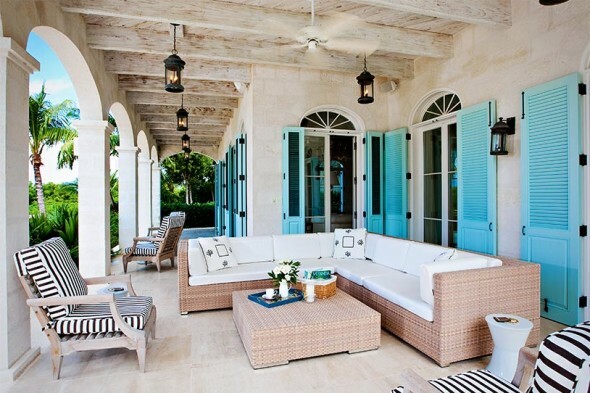 The villa offers the charm of a West Indian plantation estate with crisp Barbados shutters and spacious balconies. Built on two levels, large doors open from the terrace entryway to the foyer and the elegant living room. 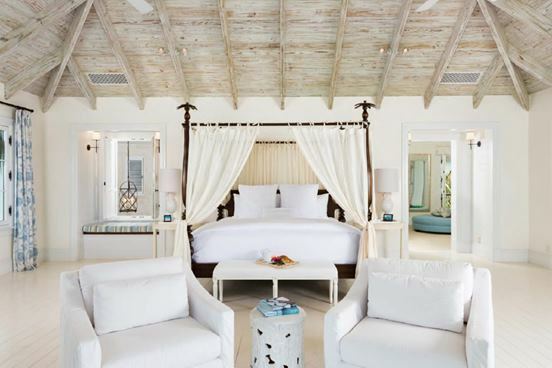 The interiors are tastefully decorated with deluxe appointments, and the soft shades of white and cream in the main living rooms provide serenity. 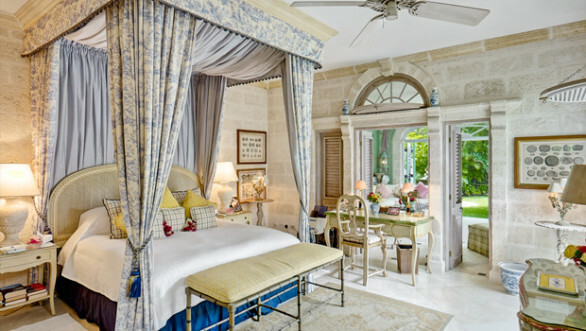 Amazing Grace offers five bedrooms, all with air-conditioning and en-suite bathrooms. The master bedroom features a romantic four poster bed and opens up to a long covered verandah providing the ideal spot to relax and take in the views. 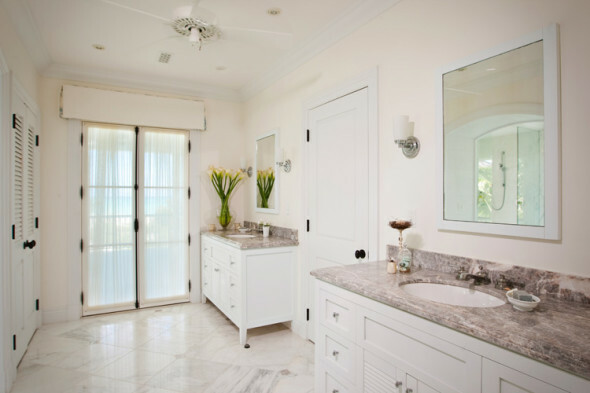 The master suite bath boasts his and her double vanities and showers that open to the outdoors with views of the pool. The swimming pool is a spectacular zero entrance set within a courtyard dotted with palm trees. A separate covered area complete with table and chairs overlooks the pool and provide a great spot for a late night game of cards. A path leads past the grassy lawn to the soft sugar white sandy beach. 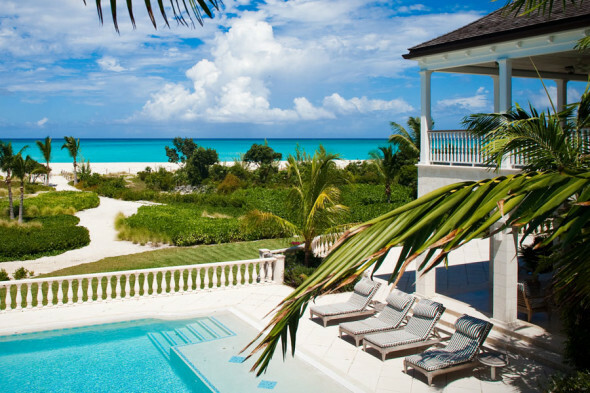 The villa enjoys over 600 feet of beachfront on Grace Bay which is frequently named as one of the best beaches in the Caribbean. A villa and concierge manager is available to guests on a daily basis to answer questions and ensure a memorable stay.